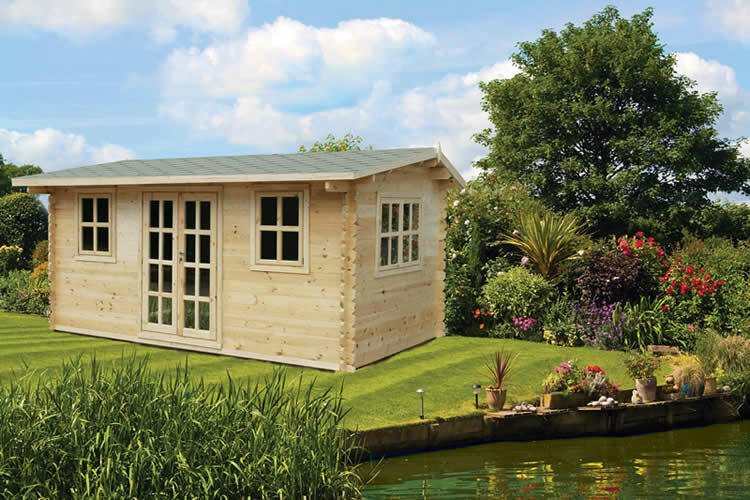 A range of 44mm (1.8") Eurovudas log cabins manufactured using the very best kiln dried white pine available. This range is also FSC certified, indicating that any wood used is sourced from responsibly managed forests. These cabins are available in a range of sizes from 3x3m (9'8 x 9'8) up to 11x6m (36' x 19'8) and are ideal for leisure, gyms, offices or simply to provide additional living space for your family. The Alpina Log Cabin measuring 4x3m (13'1 x 9'8). Ideal for leisure, gyms, or as a garden office. The Alpina Log Cabin measuring 5x4m (16'4 x 13'1) built using 44mm logs and ideal for providing additional family living space. 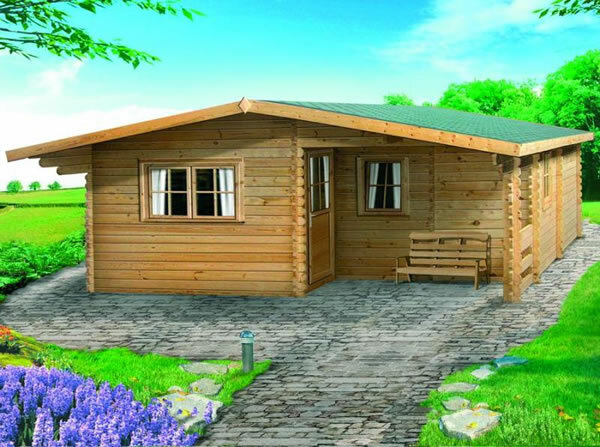 The Barcelona 5m x 4m 44mm Log Cabin is a stylish and stunning garden building which is multifunctional. The building can be used as a home office, general storage or even as a home gym. 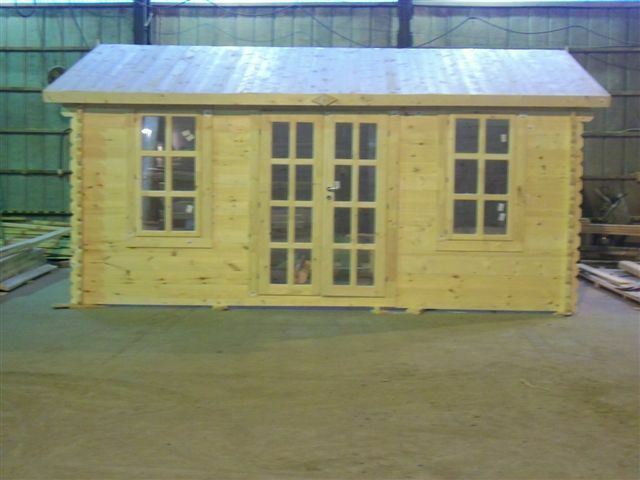 Bilbao Log Cabin 5x5m (16ft x 16ft) 44mm. This log cabin provides the ideal space to relax, socialise and entertain. The double skinned Borneo Log Cabin, designed for adding insulation into the walls and roof. 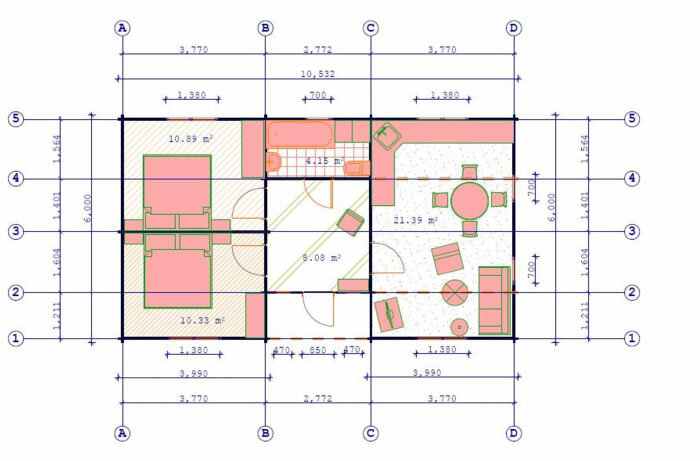 Measuring 11x6m (36' x 19'8") and ideal as a holiday home. 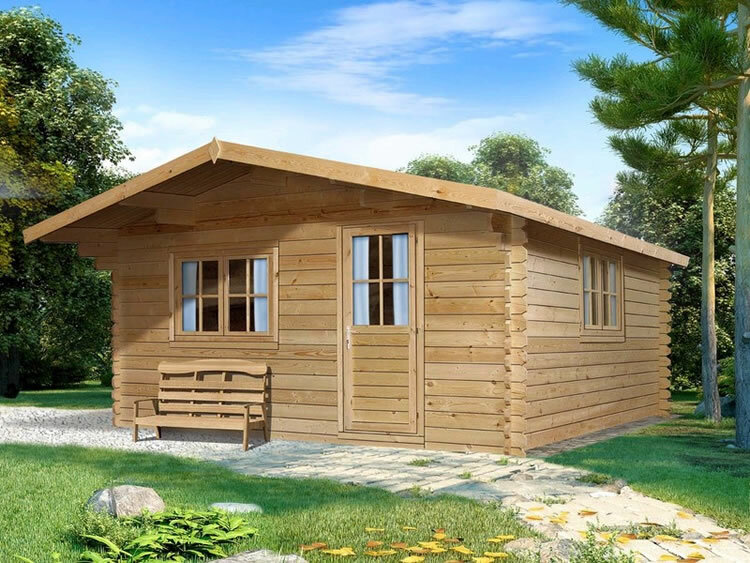 Devon Log Cabin measuring 4x5m (13'1 x 16'4) is ideal for providing additional space to relax and entertain in. 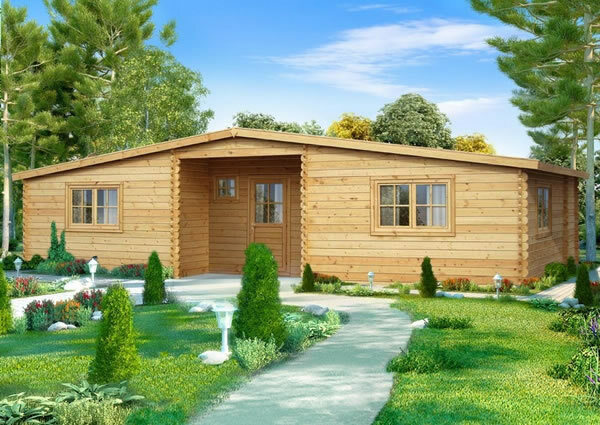 Devon log cabin measuring 5x4m (16'4 x 13'1) provides the ideal space to relax and entertain in. 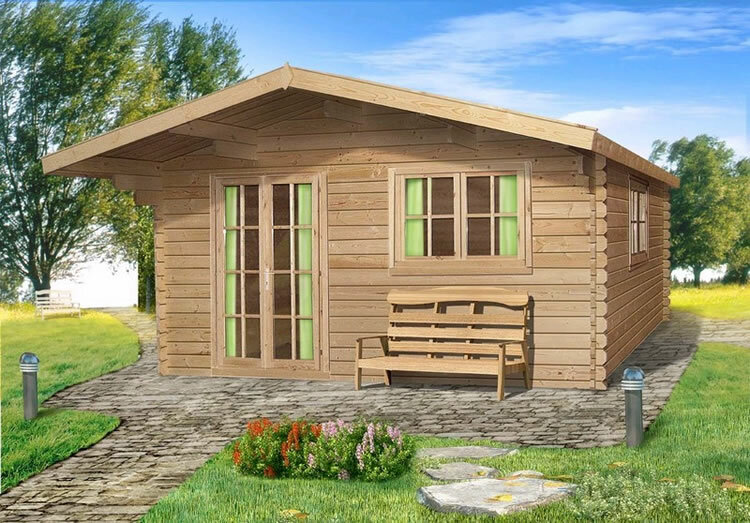 Devon log cabin measuring 5x5m provides the ideal space to relax and entertain in. 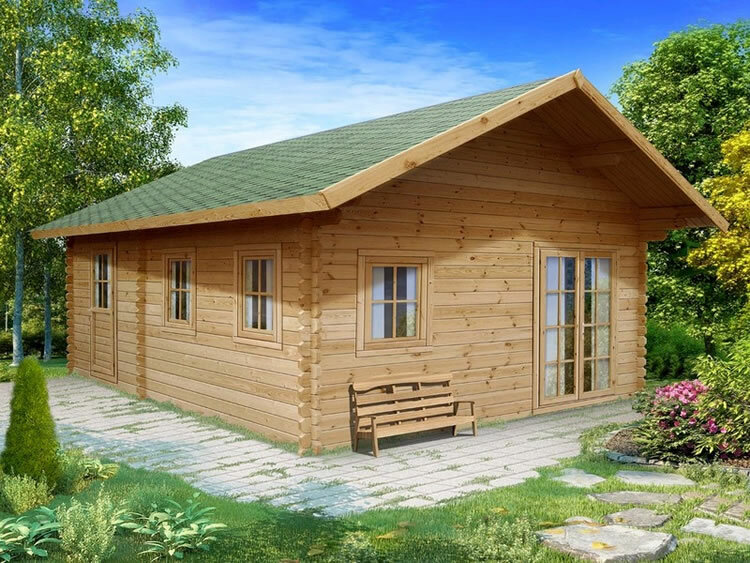 This 44mm measuring 6x6m (19'8" x 19'8") log cabin features two bedrooms, living room, kitchen and bathroom. 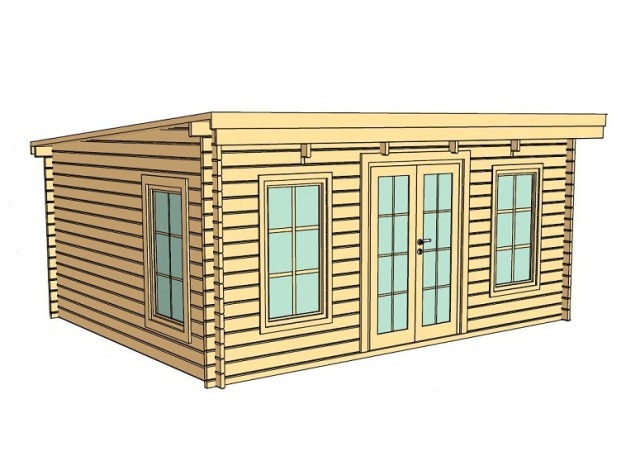 The Liverpool Log Cabin measuring 3x3m (9'8" x 9'8") is built using 44mm logs and is ideal for use as a garden office. The Liverpool Log Cabin measuring 4x4m (13'1 x 13'1) is built using 44mm logs and is ideal for providing space to relax and entertain in. The Liverpool Log Cabin measuring 4x5m (13'1 x 16'4) is built using 44mm logs and is ideal for providing space to relax and entertain in. 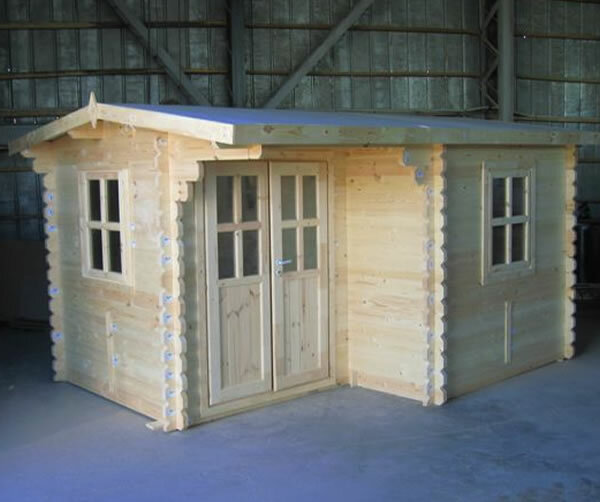 The Liverpool Log Cabin measuring 5x5m (16'4 x 16'4) is built using 44mm logs and is ideal for use as a garden office. 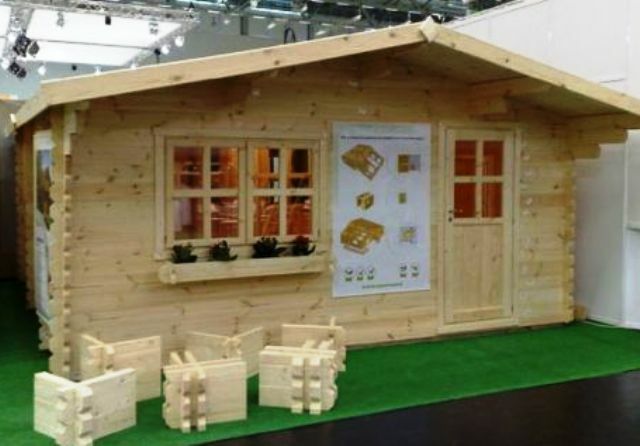 Charming 44mm Nida Log Cabin measuring 5x3m (16'4x9'8) by Eurovudas, the perfect garden retreat. With double doors and two front and one side window. The Nottingham measuring 4.5x6m is built using 44mm logs, ideal for holiday and residential use with one large attic bedroom. 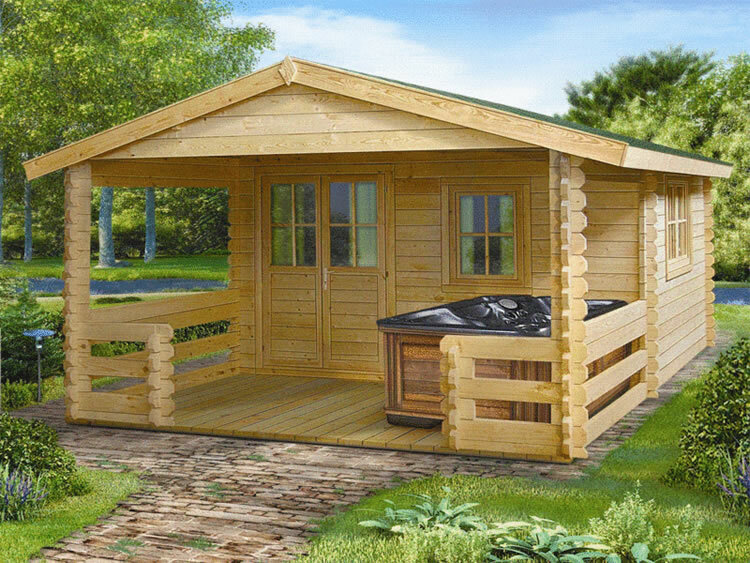 The Roy log cabin measuring 4x6m (13'1 x 19'8) is ideal for the storage of a hot tub or Jacuzzi. 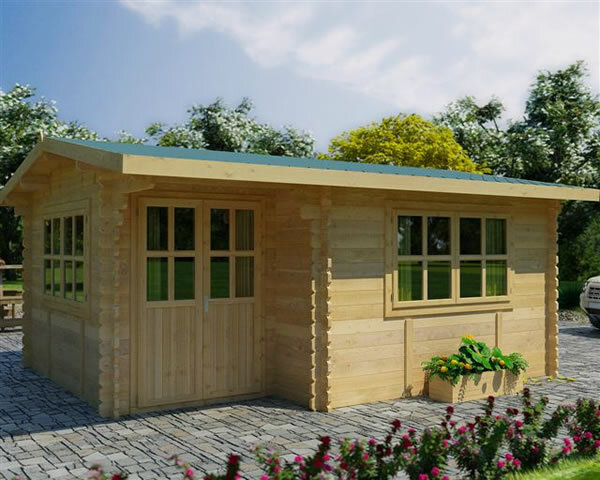 The Verona 5m x 4m 44mm Log Cabin is a stylish and stunning garden building which is multifunctional. The building can be used as a home office, general storage or even as a home gym.